Enter Bob Vila’s $5,000 Fall Flooring Give-Away—TODAY! Enter for your chance to win Lumber Liquidators flooring! It’s October, and fall is here in earnest. You might find yourself searching for ways to reinvigorate your surroundings. With the seasonal change in mind, we partnered with Lumber Liquidators to help you refresh your home. This month, one lucky winner will receive $5,000 worth of Lumber Liquidators flooring! Lumber Liquidators’ flooring options will bring new style and functionality into your space–from the ground up. If you’re considering the switch to hardwood floors, now’s the time to enter. Today and every day this month (from noon EST Tuesday, September 30th, through 11:59 a.m. Friday, October 31st), enter to win one $5,000 prize applicable towards Lumber Liquidators flooring (see Official Rules below). 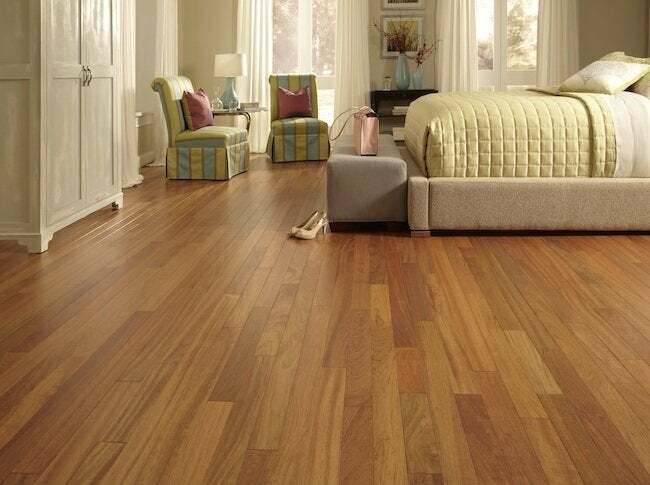 If you win this month’s give-away, you’ll get $5,000 of premium hardwood flooring, courtesy of Lumber Liquidators! The company was started in 1993 by contractor Tom Sullivan, and grew quickly after that, specializing in a wide variety of hardwood floor options. They offer solid and engineered hardwood, engineered hardwood, bamboo, cork, and resilient vinyl flooring for all your needs. Butcher blocks, molding, accessories and tools are also for sale at their website and at their many store locations. • Lumber Liquidators boasts one of the largest collections of unfinished and prefinished hardwood flooring in the industry, so you’ll never have to go anywhere else. • Their engineered hardwood and resilient vinyl options especially durable, allowing your floors standing up to changing temperatures, humidity, and day-to-day wear. • Choose between different finishes depending on the look you want, and don’t forget their easy clickable flooring options! 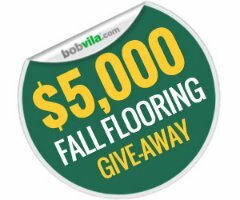 Enter Bob Vila’s $5,000 Fall Flooring Give-Away daily to increase your odds of winning $5,000 of flooring from Lumber Liquidators. The “Bob Vila’s $5,000 Fall Flooring Give-Away” is open only to permanent legal U.S. residents of the 50 states and the District of Columbia. Void in all other geographic locations. No purchase necessary. Void where prohibited. Contest Period for Prize runs from 12:00 p.m. (EST) EST Tuesday, Spetember 3oth, 2014 through 11:59 am Friday, October 31st, 2014. One entry per household per day on BobVila.com. Alternative means of entry for Drawing is available by faxing your name and address to 508-437-8486 during the applicable Entry Period. Odds of winning depend on the number of eligible entries received. By entering, all entrants agree to the Official Rules.